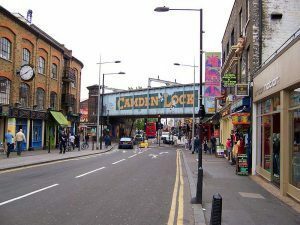 Camden, often referred to as Camden town, is the administrative centre of the London borough which shares its name. Located in the North West of the capital and considered one of the major centres of Greater London. Our drug and alcohol rehab in Camden offers a wide range of therapies in their dedicated addiction clinics. Upon admission, clients will be assessed by the centre’s detox doctor who will provide a custom designed treatment plan. Detox from alcohol and drugs can be challenging, but a medical detox plan will help to ease the symptoms and give you the best chance of getting sober and clean. This plan will be tailored to the individual, their addiction and their drive to succeed in becoming sober and healthy again. You can choose to attend either a public or private rehab, which may offer inpatient or outpatient treatment. If you opt to be cared for as an outpatient, you can visit the rehab clinic in the daytime and then head back home at night. Outpatient treatment can last over a period of weeks and months. If you are resolved to go ahead with inpatient residential treatment, Rehab Guide can arrange to have you admitted to a drug & alcohol rehab in Camden. You will live at the rehab centre during your detox, where you will be free of distractions and outside influences which could affect your recovery. Once you have decided on a rehabilitation clinic in your area, you will undergo a thorough assessment with one of the qualified psychiatrists or addiction councillors which is followed by an assisted detoxification procedure where you will cease taking harmful substances in a slow, safe manner as the toxins are washed from your system. This will be closely monitored round the clock by a dedicated team of doctors, nurses and psychiatric specialists. They will keep a close eye on your progress and dispense medication especially used to treat the symptoms of withdrawal, and should they increase in severity or your condition changes during detox, they are on hand to alter the dosage accordingly. During your treatment in a Camden clinic, they will employ cognitive behavioural therapy which can help you ascertain the negative thoughts which may bring on the signs of addiction. The therapists can help you learn how to work through those negative feelings and avoid the trappings of addiction. By dealing with these potential triggers, you may alleviate the chances of relapsing after you leave rehab. Those in recovery at a residential clinic in Camden can also experience the latest detox therapy techniques as well as a wide range of holistic therapies, from yoga and acupuncture to mindfulness, massage and reflexology, among others. This is just an overview of the many treatments you can benefit from if you choose rehab detox therapy in Camden. You can turn your life around if you visit one of the excellent residential clinics in North West London. Set off on the first phase of your ongoing rehabilitation program in Camden Town by choosing recovery. It could be the best decision you ever made.